With more than 40 years of experience in the hobs sector, Zepa represents the bridgehead of Teka group in Italy. The production cycle is concentrated at Pianezze (Vicenza), in an area of about 15,000 square meters. The incoming raw material passes through various stages of processing, until it assumes the appearance of a complete and functional hob. Fifty percent of production is destined to the head office; the second half is divided between OEM and kitchens distributors. In 2014, 200,000 hobs were manufactured, with a turnover of about 20 million euro. 95 percent of the company’s products are exported worldwide. 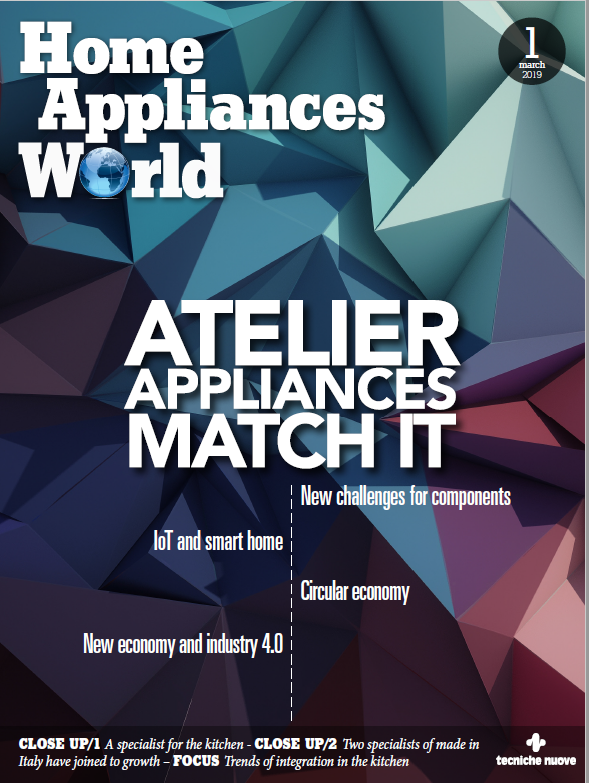 In this interview Filippo Rossi, general manager of Zepa, tells to home appliances world which are the main characteristics of a Zepa’s appliance. If the ability of listening to the market is important, how it is possible to “read” the new trends among the lines of the current demand? To be part of Teka group, which has about 5,000 employees overall, with a very developed commercial area, is undoubtedly an advantage. Our colleagues, active in several local markets, give life to a global network with a high listening skill. This allows us to monitor our competitors and to catch the different trends anywhere in the world. What tools allow you to meet the needs of buyers and customers? Market asks faster and faster times of response and production. Therefore, we have invested in a CRM system, with which tracking the customers’ requests, as well as in a new assembly line that will further increase the performance of our production cycle. On a global market, what characteristics allow a product to stand out? The life cycle of products is decreasing. If in the past it was normal to realize items to be sold successfully for over ten years, nowadays it is necessary to constantly realize new ones. Thus, it is crucial the interaction between the commercial division and the technical one. Who follows the sales must be able to catch the needs of the market, transmit them in the form of specifications and requirements to those who will have to develop the product. Innovation allows to catch the latent needs of the market. In some countries, for example, we found that in many houses there are two kitchens: one to show to the guests, one for actually preparing the dishes. So much can be done in terms of aesthetics and design. All the more for Zepa, that produces in Italy. In what direction are you orienting the research and development activities? Energy saving is becoming more and more relevant: all our products meet the most stringent regulations concerning the burners efficiency and the electrical components on stand-by. Another driver is simplification. In the vision of Zepa and Teka, cooking must be a pleasure, not a mere functional action. We are developing easier and easier to clean surfaces and “plug and play” hobs with a simplified installation. Last, but not less important, is the customization: as it happens in the automotive sector, our product platforms allow us to adapt production to the most specific needs. Is the drop in consumption, caused by the crisis, water under the bridge, or does it still condition the market? The drop in consumption has undoubtedly been felt all over Europe. But today we find signs of recovery from Spain, where the Teka group is headquartered. And crisis, I think, has been an opportunity to strive to be more competitive and evolve. In your opinion: how was the balance repositioned among industry, trade and consumer? Consumer, who has been “prey” for companies for years, is much more selective and informed. As a result, the cost he pays for purchasing a good, must be offset by the benefit that the same gives him. In this process, the role of trade is crucial. Industry could not be capillary on the territory, nor stimulate the demand in a suitable way which, however, the distribution is able to do excellently, through strategies and commercial initiatives. Like it or not, we cannot do without e-commerce. Even in our sector, consumer look for information through the Internet about the characteristics of the product, then he goes to the store to test with his hand the actual plusses of it. I think the shop should evolve: from place where products are promoted to structure in which public receives support and help to choose. What objectives do you prefix to reach, if not yet achieved? Zepa has always been export-oriented. 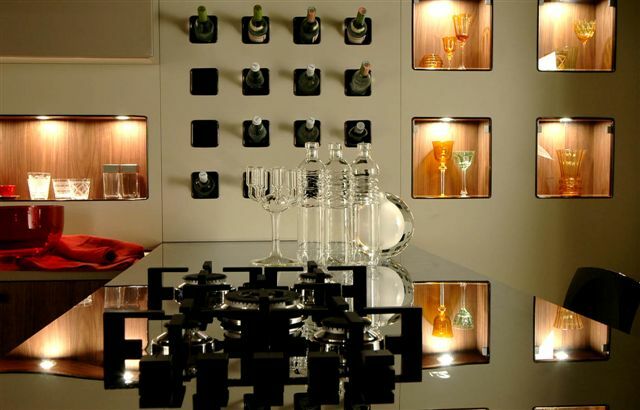 quality and design of its production is recognized all over the world, but less in Italy. 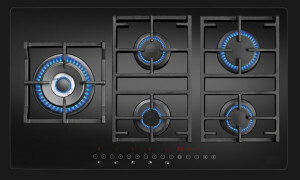 I would like to transfer to our Country the passion we put in the development of hobs. Another desire of mine is to be able to transform the home appliance from a work tool to an entertainment center. Kitchen, after all, remains the “heart” of each house. I would like that, through our appliances, it became an attractive magnet for families and groups of friends who wish to spend some time together. Flexible: because the delimitation of the spaces and rooms is less and less marked. Integrated: because the Internet of things will increase the correlation among household appliances, information systems and users. Predictive: analyzing the data of my day, the information system of the house will be able, for example, to ask me if I like a steak for dinner. If so, it will see to make me find it already thawed on my return. In short, a sort of butler who interprets my wishes. Hobs with "touch control" technology - that Zepa produces for Teka group - were among the first to introduce the electronic touch control in a gas system. Acquiring, in actual fact, the same characteristics of the induction models. The timer, for example, allows to set the desired cooking time for each dish. Very useful is also the buttons safety lock, which prevents children from lighting the fire and facilitates the cleaning operations. The absence of knobs, moreover, helps to keep the hob extremely clean. In the presence of traditional knobs, it would have been impossible to have these functions. Another distinctive feature is the system of self-ignition. If the flame is extinguished for accidental reasons, the system attempts to reactivate it for three times, after which it closes the passage of gas through the burner, without however turning off the others eventually in function. 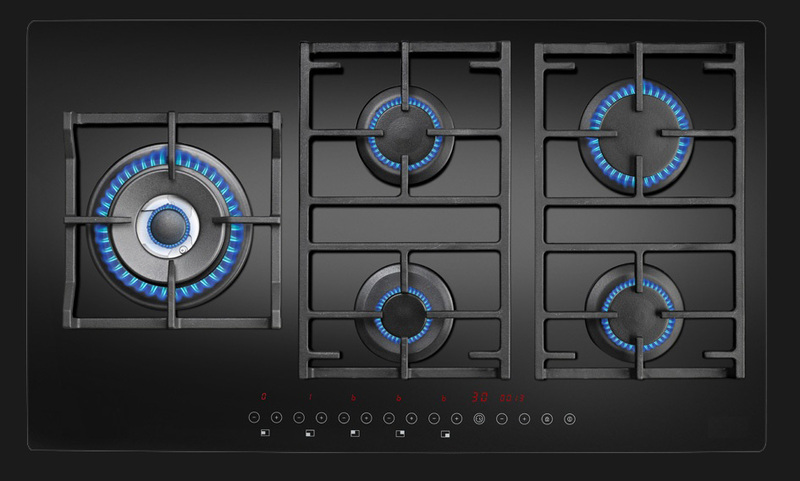 The electronic touch control does not need a mechanical connection with the burners: in the future perspective, Filippo Rossi explains, remotely controlled hobs could also be develop. In 2015, these products have been awarded by the Chicago Athenaeum Museum of Architecture and Design with the Good Design ™ Award.